Hovione Technology has secured global rights to develop and commercialize a new ultra-affordable, multi-use blister-based dry powder inhaler (DPI) patented by inventor Dr Klaus-Dieter Beller. The two parties will continue to collaborate on the inhaler, which will be marketed as the Papillon DPI. Papillon - multi-use blister DPI. Hovione Technology’s CEO Peter Villax said: “This is a strategic DPI development for Hovione Technology which emphasizes our long-term commitment to offer market access to a portfolio of innovative inhalers that maximize simplicity of use, drug delivery performance and cost-effectiveness on a truly global scale. 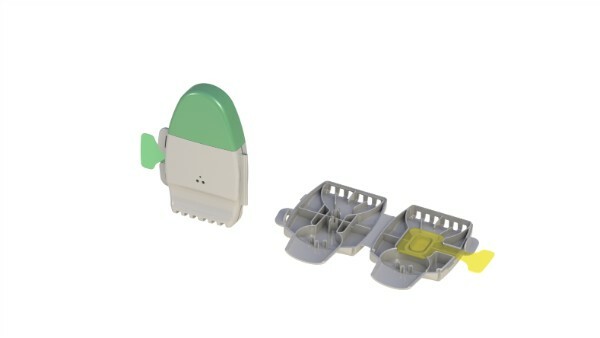 We are delighted to accelerate commercialization of this innovative blister DPI”. Hovione Technology has a co-promotional agreement with API manufacturer Hovione and together they are able to provide access to a complete portfolio of innovative DPI devices integrated with inhalation API, formulation development and industrial manufacturing to pharmaceutical companies focusing on inhaled drugs.